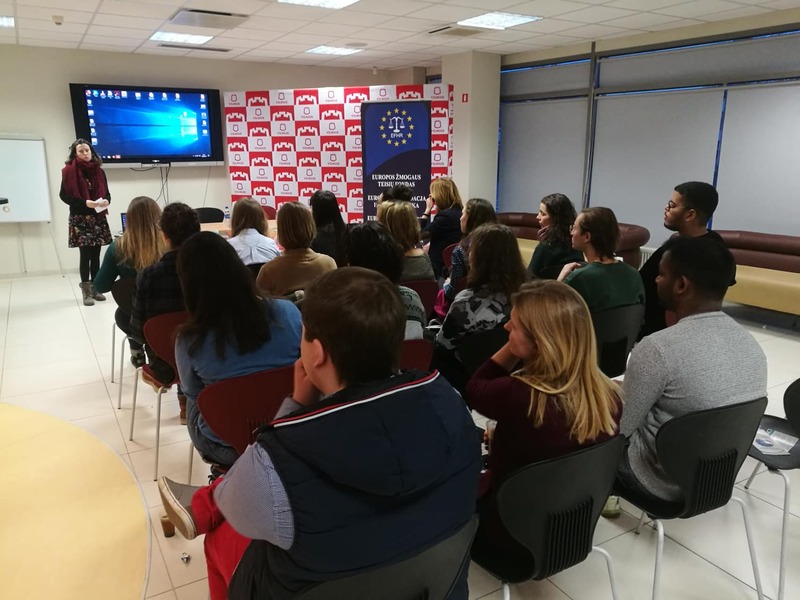 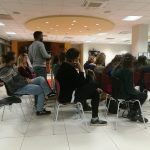 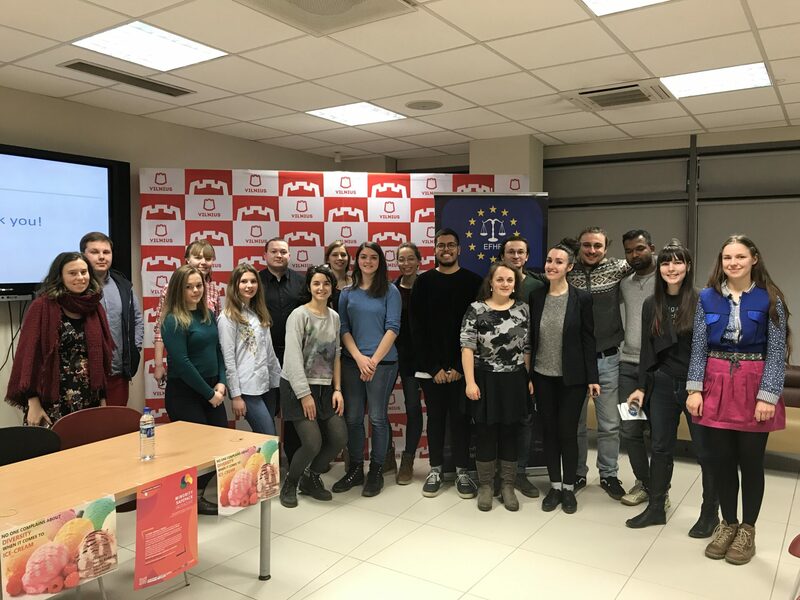 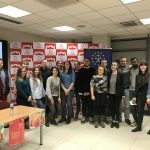 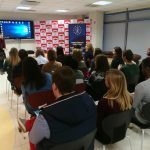 On 19th March, the European Foundation of Human Rights (EFHR) commemorated the ‘European Week Against Racism’ at the Youth Centre of Vilnius Municipality. 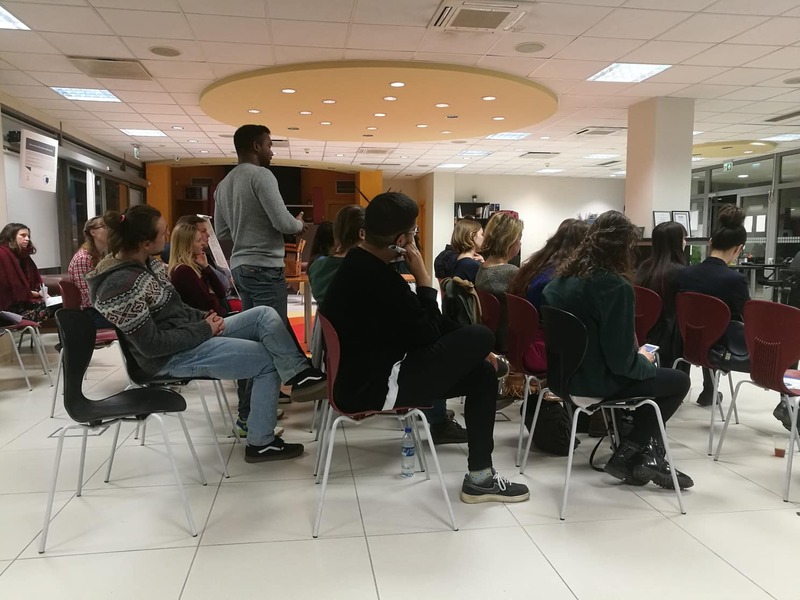 For the event the EFHR firstly arranged a discussion on the topic “Tendencies of Racism in Lithuania”, which was led by the special guests: Lešek Jankovskij, lawyer from the EFHR, Jelena Jonis, lecturer from the University of Vilnius and Dr. Giedrė Blažytė from Institute for Ethnic Studies of Lithuanian Social Research Center. 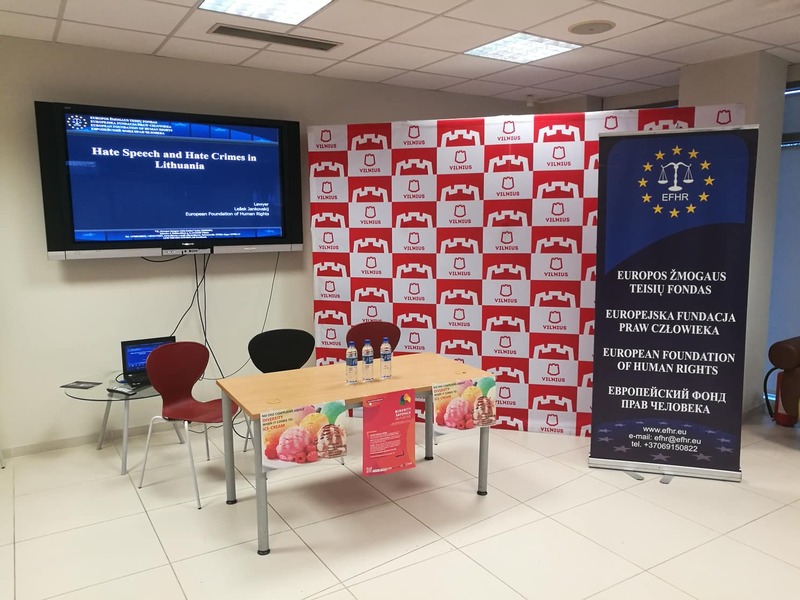 The event started with a short introduction of the EFHR by the moderator of the event, the EVS volunteer Carmen Cara Lorente. 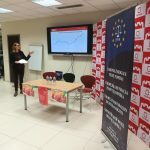 After this short presentation, the discussion started with the speech of Dr. Giedrė Blažytė from Institute for Ethnic Studies of Lithuanian Social Research Center, who spoke about public attitudes towards ethnic groups, immigrants and refugees. 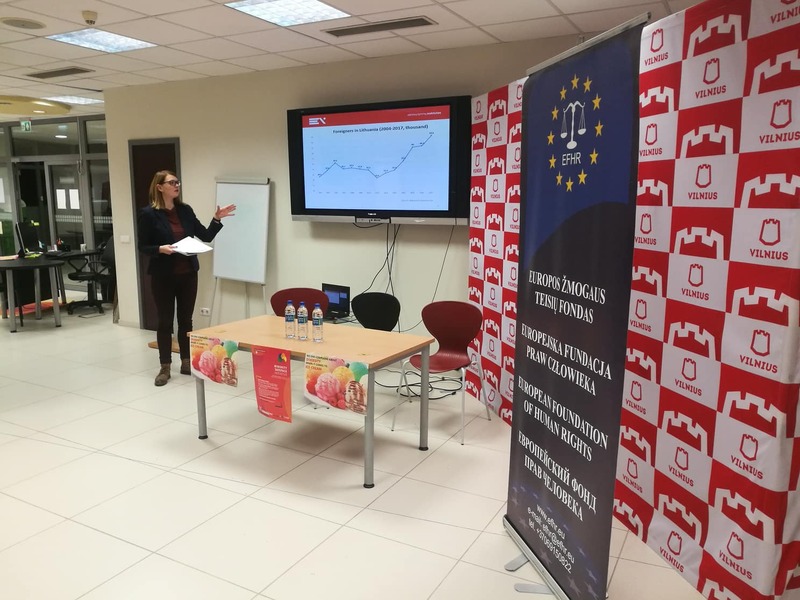 After that, the discussion continued with the speech of the lawyer from the EFHR Lešek Jankovskij, who talked about both hate crimes and hate speech in Lithuania Finally, the discussion ended with the participation of Jelena Jonis from the University of Vilnius, who gave a speech on racial and ethnic discrimination in Lithuania. 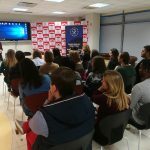 Many questions were given by the audience, who engaged enthusiastically with the topic of discussion. 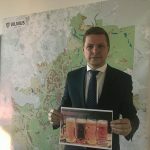 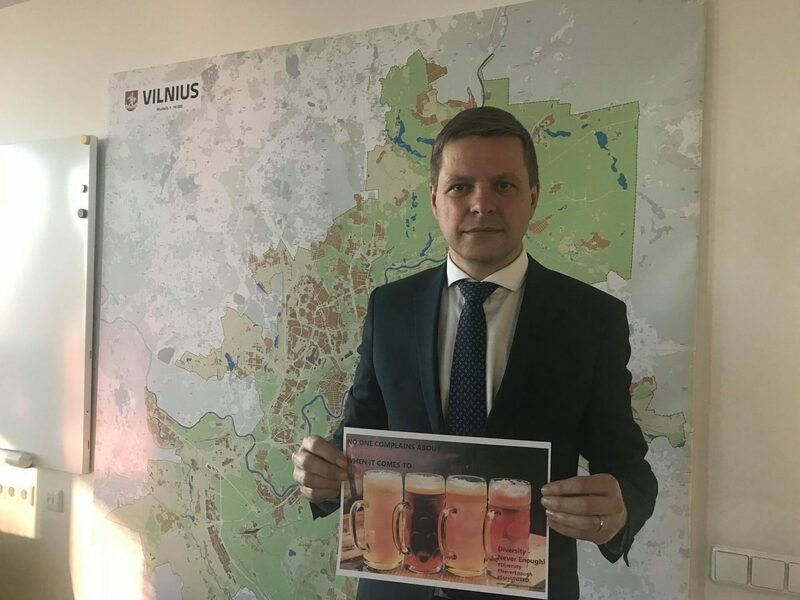 The mayor of Vilnius was fully supportive of this event and he is joining the “Week against racism” campaign with the statement “Vilnius is an open and friendly city to ALL the people of good will”. 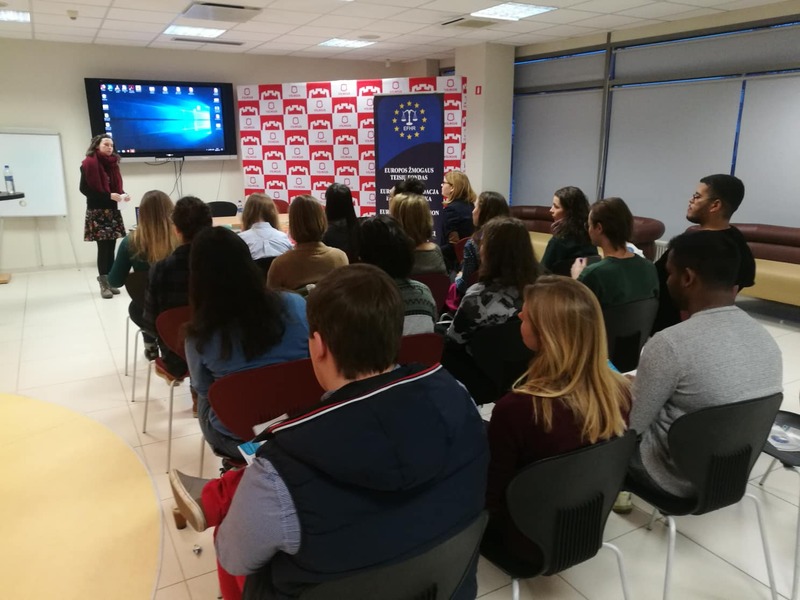 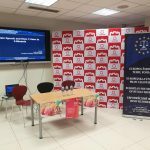 The EFHR would also like to thank Vilnius Municipality for letting us to use their Youth Information Centre, where the event took place.